You already know a Korean table (bapsang, 밥상) isn’t complete without kimchi. 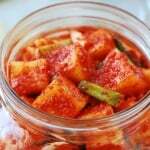 In summer, that kimchi is most likely this yeolmu kimchi (열무 김치) both at home and restaurants. 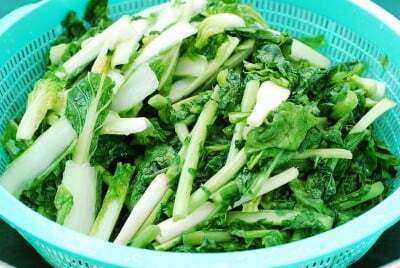 Yeolmu is young summer radish greens. It’s a variety of white radishes with tender, long greens, and a thin, small root. 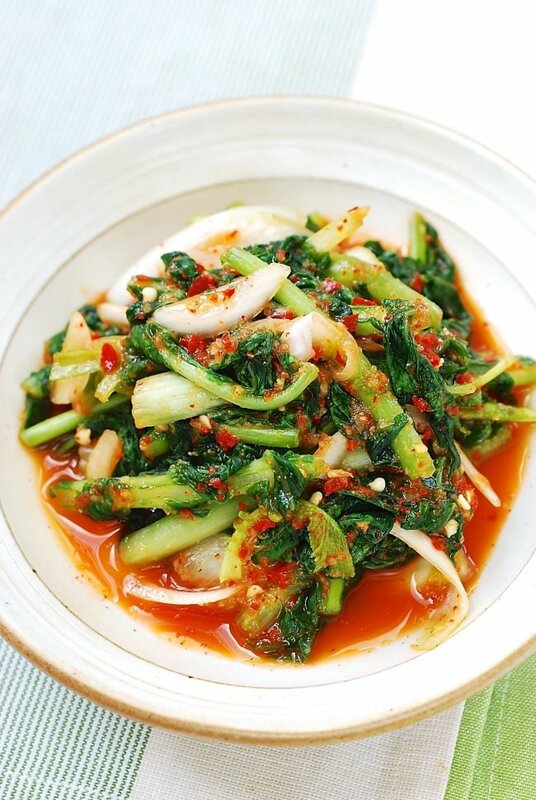 It’s not the top leafy part of mature white radishes or chonggak mu (young radish), which is much tougher. 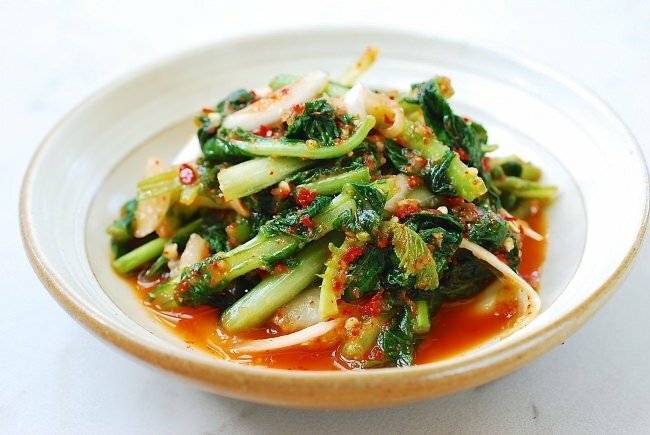 Very commonly, young napa cabbage, called putbaechu (풋배추) or eolgari (얼가리), is also added to yeolmu kimchi, giving it a different texture and flavor. I like the ratio of radish greens to young cabbage to be 2:1. 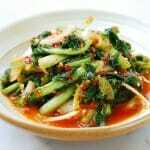 You can use only the radish greens without any young cabbage, if you want. 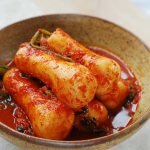 This recipe also works with putbaechu (without any yeolmu), but then the kimchi is called putbaechu (or eolgari) kimchi, not yeolmu kimchi. 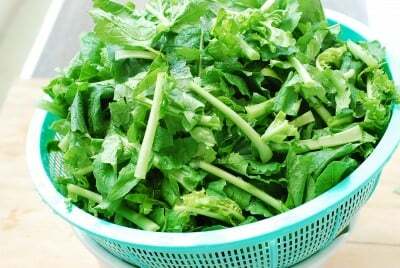 Look for the radish greens that have slightly plump stems, not too thin and not too thick, with dark green leaves. You can cut off the root part if it’s too thin and tiny, or use it if it’s big enough. It’s important to handle these vegetables with gentle care. If bruised, they will develop a grassy taste (called putnae, 풋내) which will linger in kimchi. These vegetables reduce in volume significantly once salted. 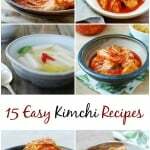 This recipe yields about 1 gallon of kimchi. If that’s too much for you, the recipe can easily be cut in half. For cooler weather kimchi, we generally use sweet rice flour paste, but here I used all purpose wheat flour for a lighter tasting kimchi. The flour paste helps reduce the grassy taste and feeds healthy bacteria during fermentation. 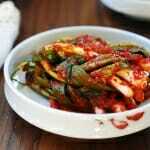 Another ingredient that makes this summer kimchi tastes nice and refreshing is fresh red chili peppers. You can find them in Korean markets, and use them by blending with other seasoning ingredients. If you can’t find them, use gochugaru (Korean red chili pepper flakes) instead. 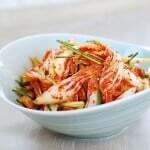 We Koreans love to use this crunchy and refreshing yeolmu kimchi in bibimbap, bibim guksu, or in naengmyeon. I hope you try making it while summer is still here! 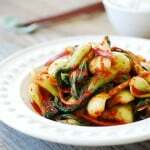 Crunchy, refreshing, and light kimchi made with Korean young summer radish greens! Cut off the root end of each radish if the root is thin and not usable. Otherwise, cut the thin end of the root and scrape off the impurities with a small knife. Trim off any bad leafy stems, and cut the greens into about 3-inch long pieces. Transfer to a large bowl. Trim off the root from each young cabbage. Cut the cabbages into about 3-inch long pieces, and transfer to another large bowl. Fill the bowl of greens with water. Let them sit in the water for about 10 minutes for the greens to release any dirt. Then, wash the greens a couple of times by gently shaking with your hands in the water. Drain. Do the same with the young cabbages. Dissolve 6 tablespoons of salt in 4 cups of water in a small bowl. 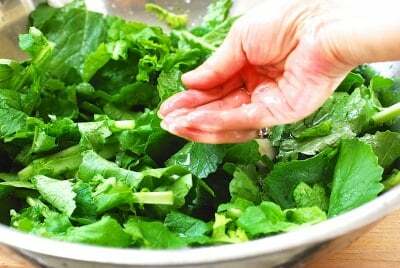 Placing a handful of the greens back in the large bowl, sprinkle with some salt water. Repeat the process until all the radish greens are placed in the bowl. If you run out of salt water, pour some back out of the bowl with the greens and use again. 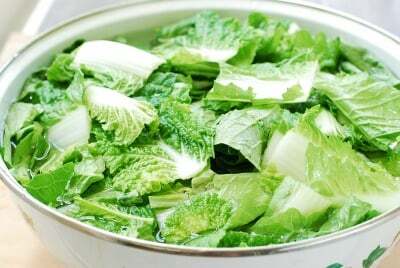 Repeat the process for the young cabbages in another bowl with 3 tablespoons of salt and 2 cups of water. Let the vegetables sit for about 40 minutes until they become slightly flexible. Flip them over once or twice while salting. 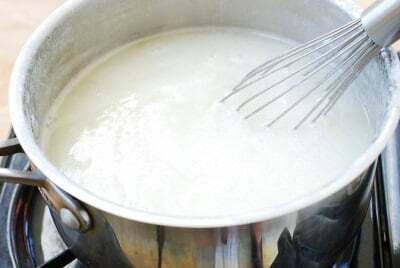 Meanwhile, mix the flour well with water, and boil over medium heat, stirring, to make the flour paste. Cool. 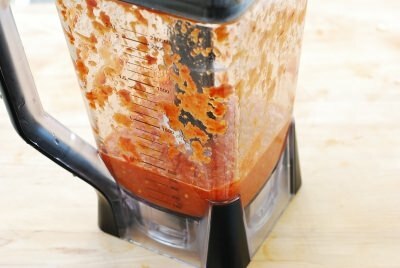 Coarsely blend all the seasoning ingredients together with 1/2 cup of water in a blender. Combine with the flour paste. 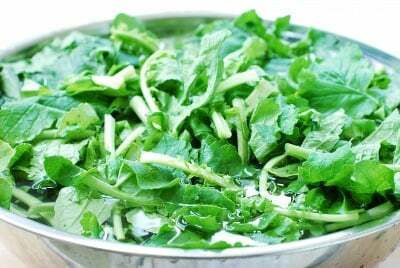 Gently rinse the salted radish greens and cabbages separately in cold water, and drain well. 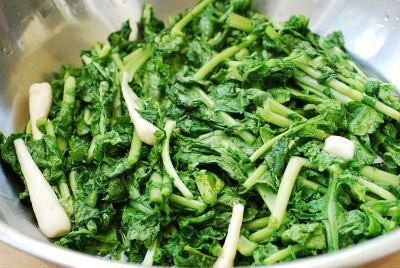 Place the radish greens and cabbages in 3 to 4 batches in the same large bowl, pouring in some seasoning mix each time. Add the scallions and onions. Toss everything very lightly by hand (use kitchen gloves), until everything is evenly coated with the seasoning. Store in an airtight container or jar (about 1 gallon size). Leave it out at room temperature for a few hours before storing in the fridge. 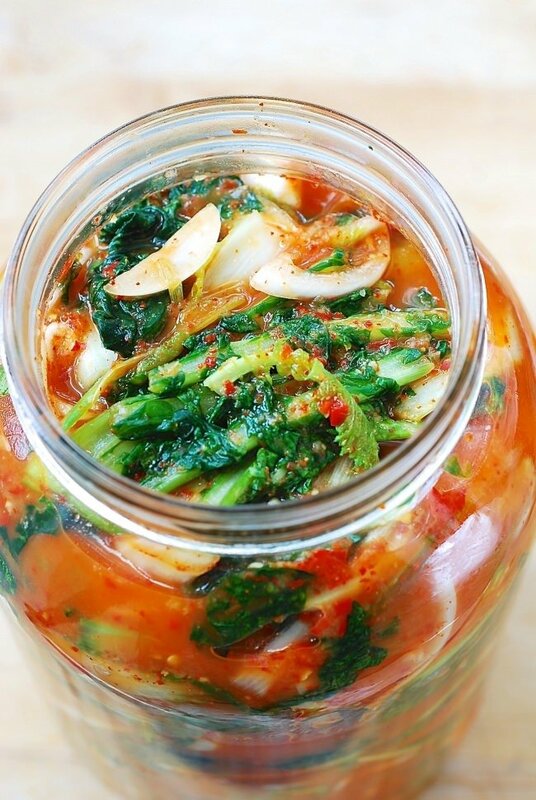 You can start eating kimchi any time, but it will taste best after a few days in the fridge. 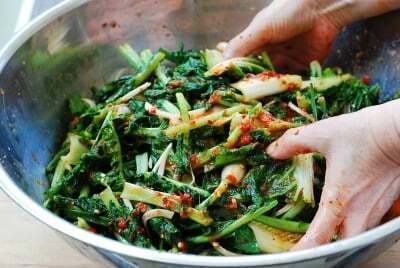 Yeolmu kimchi might be my favorite kimchi, but I can only purchase store bought, I can’t purchase radish greens anywhere. What greens do you think I could use as a substitute? Thanks! 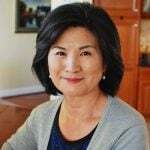 Yeolmu kimchi is a favorite in our house, but we’ve only had store-bought. I’d like to try making some, but personally don’t care for the fishy taste in some kimchis. Would it be possible to omit the salted shrimp and the fish sauce? Would I need to add more salt to adjust the flavor? the recipe does not change, i recommend substitute miso paste for the flavors. i sell vegan kimchi professionally, it’s very tasty. Because I wasn’t sure of how the germination would be, I sowed radish and cabbage very thickly. I was just about to thin the plants and compost the extras when I remembered this kimchi! i’ll let them grow a few more days, and then I’ll be ready to make a small batch of yeolmu kimchi! Thanks for the recipe!